Starting out as a UK Garage DJ at the age of 18 under the moniker of Darkstar (not to be confused with Darkstar of Hyperdub recordings), Reed began to take interest in the darker side of the sound, specialising in sets featuring tracks from the likes of Wookie, Zed Bias, El-B, Groove Chronicles, Steve Gurley and working alongside MC's Tricks & Spellz as part of the "Fearless Crew". They held radio slots on South London's inconsistent pirate station "Desire FM" before moving to 2GFM before the split of Fearless Crew in 2002. It was then that Reed was to begin using the name Plasticman for future works. Toward the middle of 2001, Reed had been experimenting with production on FruityLoops. Being based in Croydon, Reed was part of a close-knit community of young producers attempting to make dark garage tracks that would catch the ear of Big Apple Records resident DJ Hatcha so that he could support them on his popular pirate radio show. Other young producers in this circle included Skream and Benga, amongst more experienced heads Artwork / Menta, Benny Ill & Horsepower Productions. By the end of 2001, although Plasticman's tracks were somewhat overlooked by DJ Hatcha, they were however picked up by East London Grime pioneer, DJ Slimzee. Slimzee signed Reed's first 12" release (Venom / Shockwave) to his Slimzos imprint which was released early into 2002. 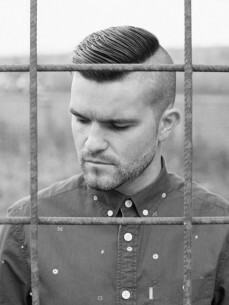 By 2003, Reed had been supported by DJ Hatcha on tracks such as Hard Graft, which saw his grimy take on the instrumental sound being welcomed by the FWD contingent, leading to releases on Ammunition Promotions' Soulja, and ROAD imprints and in the summer saw Reed's first appearance at the world famous FWD event at Plastic People, London. Soon after, Reed had established himself as a FWD favourite and was announced as one of 4 residents at the club in 2004, alongside Dubstep royalty, DJ Hatcha, Youngsta and Rinse FM owner, DJ Geeneus. This also led to Plastician earning himself a weekly slot on East London pirate station, Rinse FM - which he still remains on to this day. In 2006, Reed was offered a slot on BBC Radio 1's "The Residency". This soon turned into "In New DJ's We Trust". This was the tipping point for an ongoing legal struggle which forced him to change his name from Plasticman to Plastician. He spent 18 months on the station before returning to Rinse FM to continue his weekly slot, which he had been continuing under the alias "Blue Stripe" during his time at the BBC. He returned to the airwaves on Rinse FM alongside MC Nomad. 2007 saw the release of "Beg to Differ", Reed's debut LP and his first release under the Plastician moniker. It received critical acclaim, and contains some of Reed's most recognizable works such as "Japan" and "Intensive Snare" with North London MC Skepta of Boy Better Know.